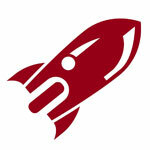 Create your own accelerator program: Many companies and universities are creating their own accelerators. It’s one of the best ways to keep up with new ideas, fresh talent and even discover investment opportunities and great insights for your open innovation programs. We are able to develop the whole program for you or just be involved in specific steps. We’re usually involved in the screening process and in designing the training program.